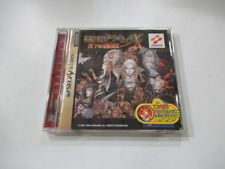 sealed (factory sealed or resealed ?) and completely sunfaded on the front cover. But already at a high price! Complete with spine card and regcard. BIN auction at a good price. From Yamatoku. 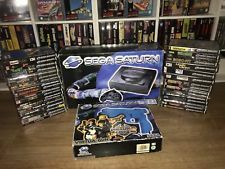 The outer box is in near mint condition, with no visible wear and tear, or crumpling. The inner components are complete, and still wrapped in their original plastic bags, and include all inserts, and games. At a very good price atm! complete with spine card and regcard. 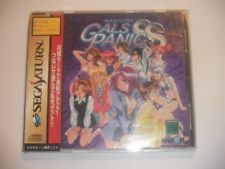 The only Qix-like game on the Sega Saturn. Very good price atm. 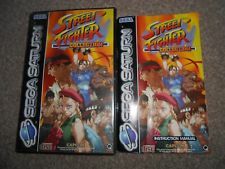 great little bundle of PAL games. Good price atm. From the UK. With some great titles in the lot. Check the photos for a complete list. Very good price atm. auction ends in about 14 hours. From the UK. 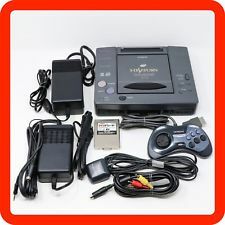 Another Navi console for sale, without the screen. BIN auction from Japan. 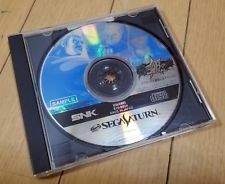 Uncommon SNK demo disc, from Japan. Very good price atm. Auction ends in about 12 hours! Cds with marks. Good price atm. From the UK. 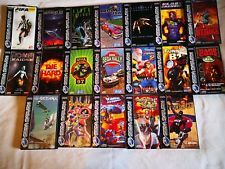 22 PAL games, with some great titles. Complete list in the description. From France.